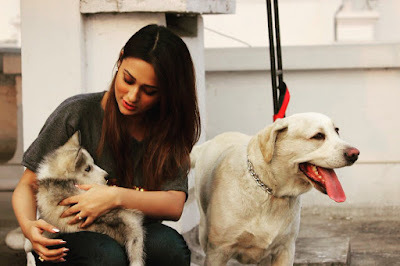 Sweet Bengali actress Mimi Chakraborty is now single. Mimi and Raj Chakraborty romance is now history. How Mimi spent the recent Valentines Day? Mimi Was with her new friend in this Valentine Day and celebrate the day fully. Mimi's love for pets is well known and this year the actress spent the Valentines Day with her new friend - Max, a Siberian husky puppy. Max is very new in Mimi's life. Mimi has another dog, Chiku. Mimi Chakraborty is from North Bengal and she stays alone in Kolkata due to professional reason. Mimi's parents sometimes come and stay with her.